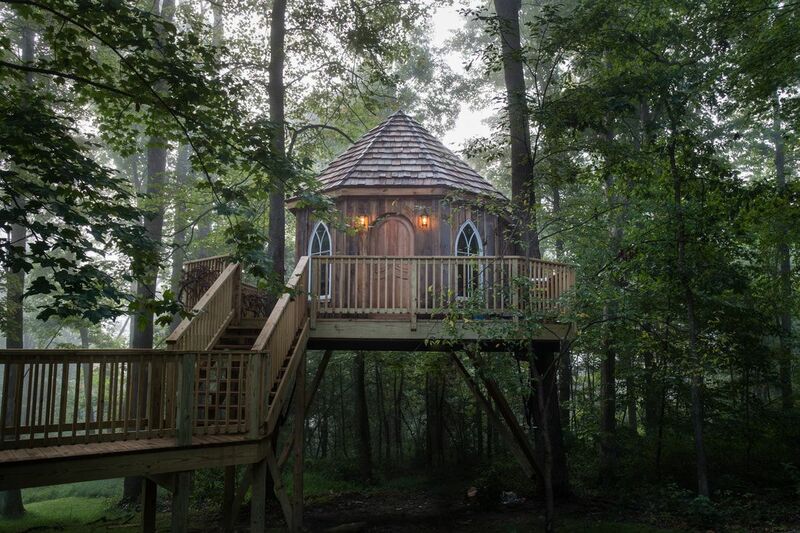 Who says treehouses are only for kids? Bring on your adventurous side at the Treehouses at The Mohican’s located halfway between Cleveland and Columbus, in Knox County, Ohio. They offer 6 unique cabins in the woods from single rooms to large 2-bedroom suites complete with a full bath and kitchen. Two of the treehouses were designed by Pete Nelson, famed treehouse designer and star of Discovery Channel’s show “Treehouse Masters.” Some are accessed via a spiral staircase, others have a 30 foot extension bridge, but all have beds with linens, heating for the winter and air conditioning for the summer, a deck, and charcoal grill. Nearby activities include hiking, zip lines, canoeing, and mountain biking. For an unconventional getaway, consider the Treehouses at The Mohican’s!